Comet is the expression of the highest level of PFM technology and design applied to vertical wrappers. 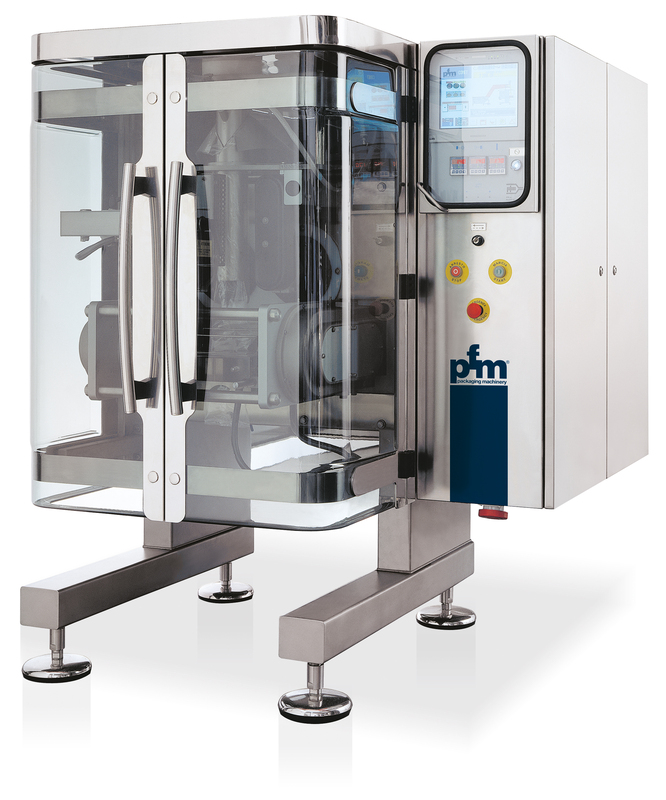 The machine has been designed for high speed wrapping and round-the-clock applications. It produces pillow pack bags from a reel of heat-sealable packing film. Suitable for wrapping granular products (chips/crisps, candies and many others) combined with multihead weighers and volumetric dosing systems. New body design, “Hermetic Box”, protected from infiltrations of liquids and powders. New High Speed Long Dwell rotary sealing system, tested at 200 mechanical cycles per minute. Sealing crimpers removable from the front. Full servo wrapper driven by brushless servomotors with axis motion controller. MMI with Colour touch screen. Operator’s friendly software. Integrated modem for on-line Teleservice. Expansion reel holder with self-centring system. Power feed roll controlled by independent motor. Extremely compact design for a perfect control and synchronisation with feeding systems thanks to the short product falling distance.